5 Ways To Order Off-Menu, Like a Boss. 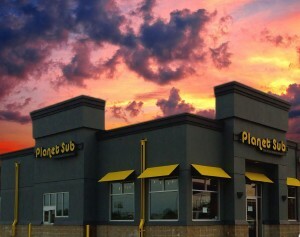 Here at Psub there is no shortage of tasty creations with a plethora of unique and delectable options to help you ascend to sandwich-nirvana. Maybe you’re still making your way across the menu, in which case, carry-on and get your sub on. If you have already taken ‘le tour-de-sub’ and are searching for more adventurous culinary terrain, then perk your ears, and your tastebuds for a few Psub-approved tips to take your order to the next level. Some like it COLD. Sure, we’re known for our “crispy-on-the-outside, soft-and-gooey-on-the-inside” oven-baked subs, but simply trying your favorite HOT sub COLD could potentially change your world. It’s like trying to write left handed, only less frustrating. Looking for some suggestions? Try the “Super Hero” to transport yourself into an old italian deli, or un-melt the “Tuna Bacon Melt” for a lighter taste of the sea. Go naked. Take it easy, and get your mind out of the gutter. We’re talking about buns, not BUNS. Maybe you’re looking to cut carbs, or calories, or maybe you just don’t like bread sometimes (nothin’ wrong with that). Whatever your reasons, you can take the buns off your subs and grab any sub as a healthy and tasty romaine wrap. While we do have a few wraps we stand-by, you may have a favorite sub you’d like to see naked, and we totally support that. Cook it yourself. Want to grab a sub, but really don’t want to miss the first few minutes of the new Walking Dead… totally understand. Totes. Try this: when you order your favorite sub(s), ask them to be prepared cold and to get all the cold ingredients “on the side” (don’t worry, our employees will gladly do this for you), and take your sub home with you. When the urge to feast is at its peak, set the oven to 425, place the sandwich open-faced into the oven on top of the foil and set the timer for 4-5 minutes. All ovens are different, so keep an eye on the bread to make sure it doesn’t get burnt! When the bread is crispy brown and the cheese begins to undulate and bubble, it’s time! Presto-chango, oven-baked PSUB, right in your living room. BBQ Bliss. When the weather’s fine, you got burgers, you got burgers on your mind… Nothing says BBQ like a summer day and tasty burgers! Why, then, do we settle for tasteless store-bought BBQ buns filled with preservatives for tasty summer outings. This must be stopped! Since we make our bread from scratch each day at each location, all it takes is a call a day-or-two in advance to ask for some specially crafted PSUB burger buns to launch your BBQ to the next level! Dinner rolls, bread loaves, bread-bowls, two-footers; if you can dream it, we can bake it, at least when it comes to our delicious homemade bread.